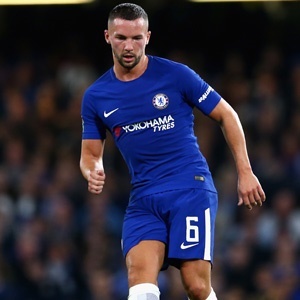 London - Out-of-favour Chelsea midfielder Danny Drinkwater has been charged with drink driving after his car was involved in a crash following a late night out. The 29-year-old - capped three times by England on the back of his pivotal role in Leicester's fairytale 2016 title victory - was arrested early Monday morning after what police termed a "one-vehicle incident" on his way back to his home near Manchester following a charity event. Drinkwater - who unlike former Leicester City team-mate N'golo Kante failed to impose himself at Chelsea after a £35 million transfer in 2017 - was released on unconditional bail ahead of a hearing at Stockport Magistrates' Court on May 13. The unmarried father of one had been pictured exiting a fashionable London night club in the early hours of Friday morning with two women - though he dutifully turned up for training later that day.